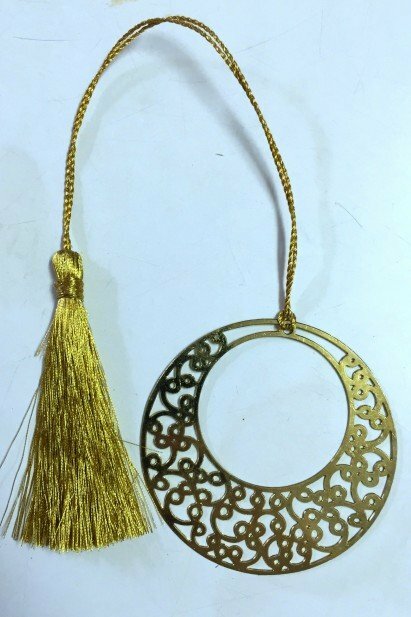 Remarks:•	Golden metal craft bookmark with a “Circle” pendant. •	Fine cut Indian design. •	Manufactured by LUVINDIYA.